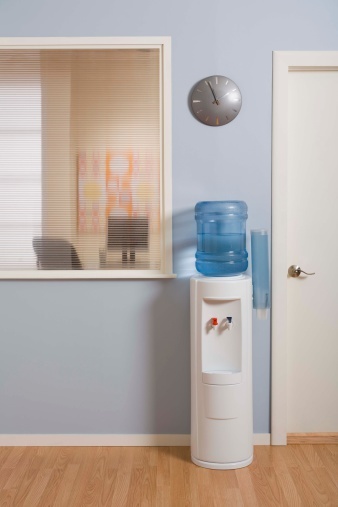 A leaking water cooler can leave quite a mess in a home or office. There are several troubleshooting methods you can try to help diagnose and alleviate the problem. In addition, if your spigot is leaking, you may need to contact the water cooler company that provides the unit and delivers your water. Determine where the leak is coming from and how fast the water is leaking. If there is water leaking from the spout/spigot, try tightening the knob so it shuts completely. Make a mark with a black marker where the level of the water is on the side. This will allow you to determine how fast the water is leaking out of the unit and/or container. It will also help you pinpoint where the leak is coming from--the slower the leak, the smaller the hole, meaning it could be a broken seal or faulty bottle. Remove the bottle from the unit. Place the bottle inside a large sink, or place it outside so that if water continues to leak, it won't get all over your floor or furniture. Inspect the bottle carefully for any punctures or leaks. If you do find any, set it aside and notify your water provider immediately for a replacement bottle to be delivered. Place a cup or large container under the spout/spigot to catch any additional water leaks. Check the reservoir where some water should be sitting. See if there is a clog in the reservoir where the water trickles down to the spout/spigot. If there is, remove it. Then, check the spout/spigot for any broken seals or broken handles. A small crack in this part of the mechanism could be causing the leak. Replace the spout/spigot. 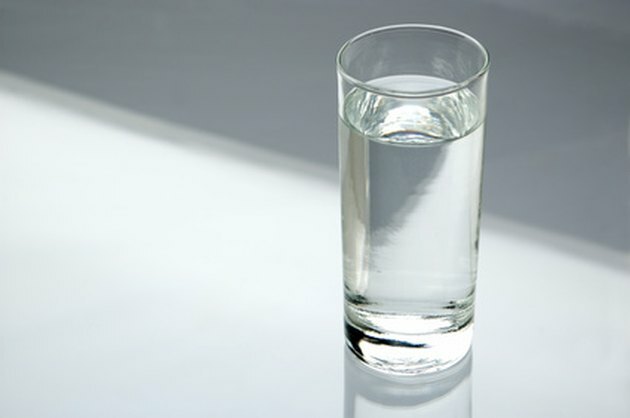 This part can be purchased from your bottled water provider, or the manufacturer of the unit. Also be sure to check any and all seals that are attached to the water release part of the unit. Any replacement seals can also be purchased the same way.